JERSEY CITY, N.J., February 28, 2017 – TrialScope, the global leader in clinical trial transparency and compliance solutions, today announced the launch of the Trial Results Summaries Portal, a publicly accessible website where clinical trial sponsors can inform and educate trial participants and the general public about trial results through a non-promotional and unbiased venue. TrialScope’s Trial Results Summaries Portal (www.trialsummaries.com) was developed in partnership with AstraZeneca, a global, research-based pharmaceutical company. 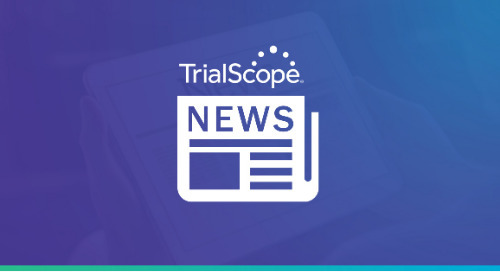 Clinical trial sponsors who want to learn more about TrialScope’s Trial Results Summaries Portal can register for a complimentary webinar on March 22, 2017. TrialScope simplifies the complexities of clinical transparency management. TrialScope’s award-winning, proven solutions have been implemented successfully and rigorously tested in the most complex environments and are managing disclosures for roughly 30% of industry sponsored clinical trials. The company’s market-driven solutions and expertise enable sponsors to improve performance, mitigate compliance risk, and ultimately optimize efficiencies with clinical content lifecycle management tools, expertise and processes. TrialScope technologies are offered via a validation-ready Software as a Solution (SaaS) platform hosted in a private cloud. The post TrialScope Launches Trial Results Summaries Portal appeared first on TrialScope.